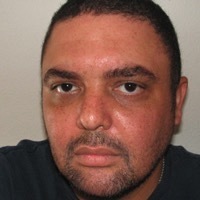 Shane McCrae is the author of In the Language of My Captor (Wesleyan University Press, 2017), Mule (Cleveland State University Poetry Center, 2011), Blood (Noemi Press, 2013), Forgiveness Forgiveness (Factory Hollow Press, 2014), and The Animal Too Big to Kill (Persea Books, 2015). His poems have appeared in many periodicals and anthologies, including Poetry, The American Poetry Review, The New York Times, and The Best American Poetry series. He has received a Whiting Writer's Award, a fellowship from the NEA, and a Pushcart Prize. He teaches at Columbia University, and lives in New York City.